Thanks to the Renault Scenic and the earlier Mitsubishi SpaceRunner, the junior-league MPV sector gained some vital market traction but, asks Iain Robertson, perhaps the time has come for some reality to kick in? If we accept reluctantly that we are all getting larger (fatter, wider, taller and demanding more space), why is it that so many carmakers insist on giving us cars that simply do not meet purpose? In the ‘olden days’, when a small, medium, large and extra-large remit existed and pseudo 4x4s were not the ‘kings of the road’, things were a lot simpler. It was easier to make a decision about satisfying transport requirements. 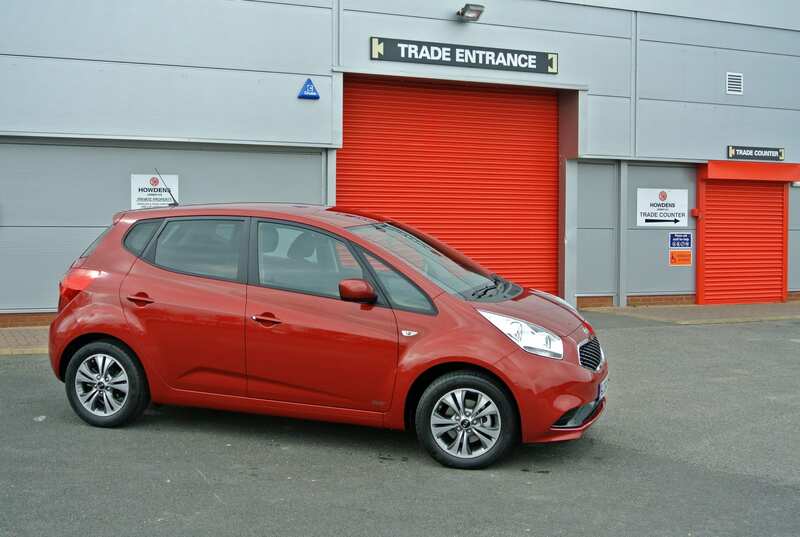 Today, we have a confusing profusion of city cars, sub-compacts, compacts, family cars, medium sector combatants and so on in the hatchback sector alone and that is before we start looking at saloons, estates, sportscars, people-carriers and sports-utilities. The BMWs, Audis and Mercs of our world are complicating the issue even more. At which point does the ‘pleasing all’ factor cease to have any tension? For a long time now, I have been urging carmakers to concentrate more on the space-conscious provision of their compact MPVs. Not all of us requires a van-with-windows and seats for up to seven people, when that same vehicle is likely to join the queues of other over-wrought family entities, with just one driver, heading to the office on a Monday morning. Of course, there are some larger family needs to be satisfied but the vast majority of us requires no more than four seats at most and a boot of decent capacity. Naturally, price is an issue. Allied to it are the inevitable running costs. Well, I have been driving a run-of-the-mill model this past week. 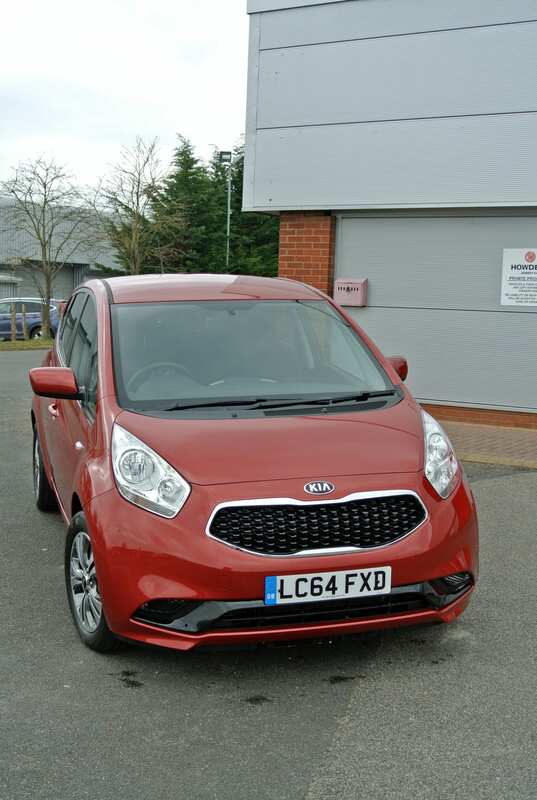 Produced by Kia, in Slovakia, the Venga model possesses seats for up to five adults in a taller than average family car. As diesel is under the cosh (again! ), my test car was a 1.4-litre petrol version. In value-added SR7 trim, it possesses all the toys that we might require. However, price-tagged at a most reasonable £13,995, it makes the £20k-plus of the latest BMW 2-Series look positively rip-off. Venga is to Rio, as B-Max is to Fiesta. The footprint exercise is identical. Fix the wheelbase and track, plant a taller body on it and voila! A proper family motorcar results. Relatively compact dimensions mean that it is easier to park, easier to live with (it will fit in the standard domestic garage) and less costly to fund. 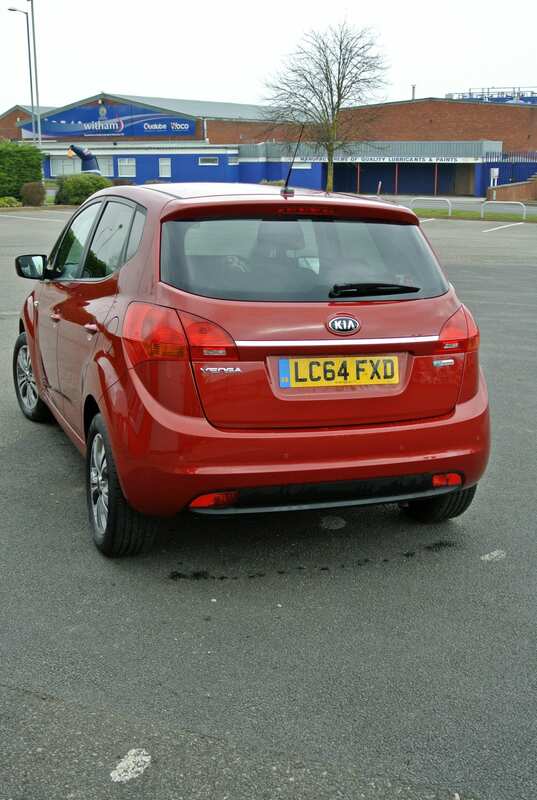 Although I am not and never have been a fan of ‘market pricing’, as I believe that Kia could afford to sell its Venga for at least a couple of grand less than it does, enter some argy-bargy with the Kia order taker at the brand dealership and you might just be able to buy one, with a couple of thousand lopped off, at a more realistic price. Trust me. In our ‘difficult’ market, doing deals is not just possible but is essential for both parties. Yet, the Venga is also a worthy machine. Being taller-than-average makes entry and exit from the driver’s seat a whole lot less compromised, even for a motoring ‘monster’ like me. Once ensconced, there is plenty of headroom, an abundance of lateral space and a commanding and comfortable driving position. Yet, in reality, it feels little different to drive than the squatter Rio model. The real art lies in making it deliver in the manner of something somewhat closer to terra firma and Kia has managed its engineering to near perfection. The fairly stock Macpherson strut front and twisting beam rear suspension feature spring and damper rates that are designed to provide a comfortable, almost loping ride quality, while also keeping body roll in check. 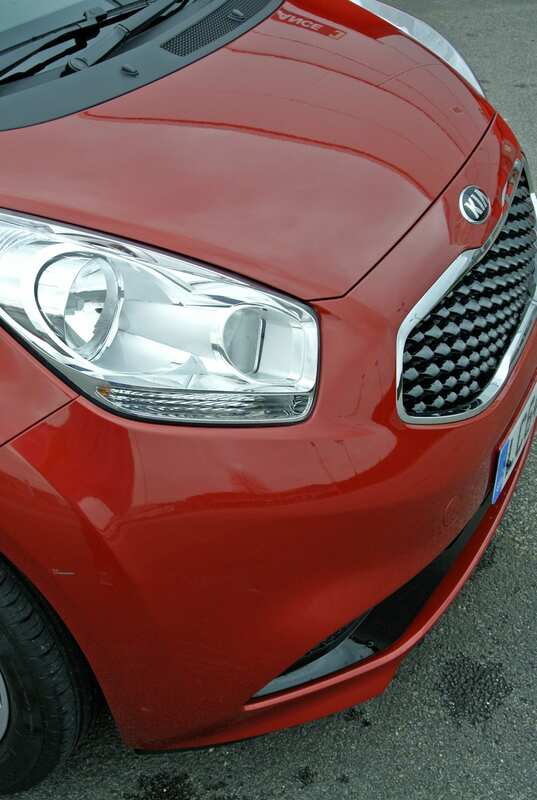 Thanks to sensitive geometry settings, even harsh braking does not result in massive dipping of the nose and the overall deportment of the Venga ensures that occupants never feel queasy, even should the driver feel more than mildly ‘enthusiastic’ about the car’s performance. In fact, a performance paucity could have reared its ugly head, had the 1.4-litre petrol unit not have been so well-endowed with low-rev torque. Featuring a moderately high compression ratio, the slightly over-square four cylinder unit develops a modest 89bhp allied to a decent slug of 101lbs ft of pulling punch. Thanks to a modest 1.25 tonnes kerb weight and sensible gearing, the Venga will zip from 0-60mph in an acceptable 12.4 seconds, topping out at around 105mph. However, I have to inform you that the car feels markedly zestier than the on-paper figures suggest. While the Official economy is given as 50.4mpg, I actually struggled to obtain much more than 44mpg, although I considered that the figure was more than acceptable. Standard ‘stop/start’ technology is a possible aid on this score. The 130g/km CO2 figure is slightly more denting of the wallet, demanding an annual VED payment of £110, from year two onwards. As a retail offering the SR7 package is a worthwhile one, as it does save the purchaser around £750 over the enhanced specification of the standard car. It is a point worth contemplating. 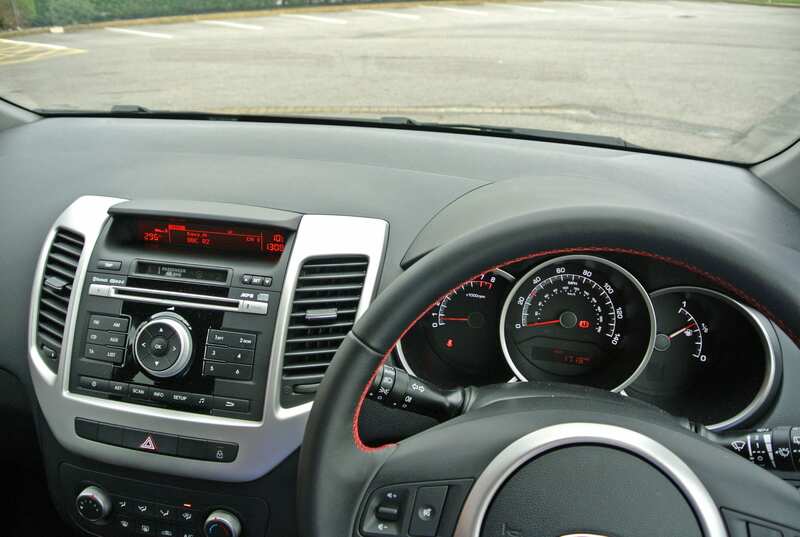 By providing a leather-wrapped steering wheel, air-con, reversing sensors and alloy wheels, you might lose out on the higher grade touch-screen, automatic climate control and other luxurious accoutrements of the high-spec’d and more expensive models but, hell’s teeth, what do you really want for fairly basic motoring? Trust me, the Venga SR7 is all that you will require. Where this delightful car earns its stripes is in its use of cabin space. The boot is, as already highlighted, spacious. However, raise the false floor and there is even more storage space beneath it. 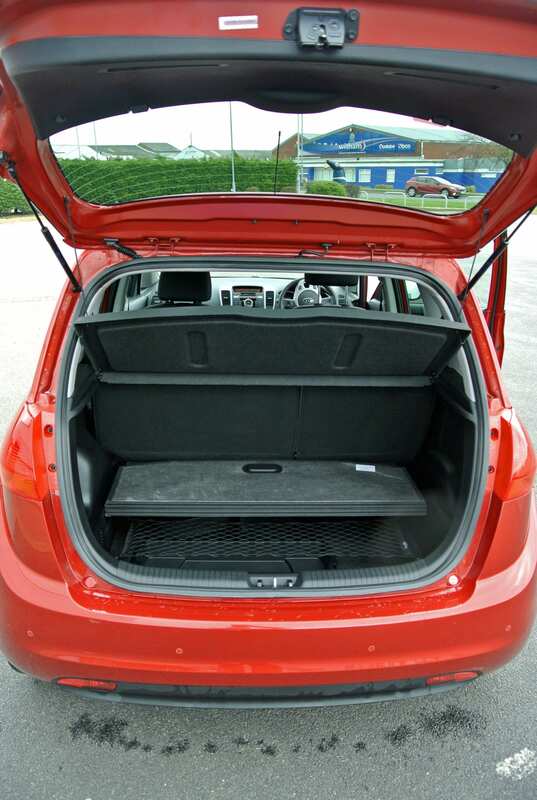 However, fold the 60:40-split rear seats into the floor (cassette-like) and the rear load deck reaches over 1.5m in length, with a total load cube of around 1,253 litres. It is cavernous and more than commodious for making the annual trek to Calais for wines and beer. Although adopting a rather costly ’rubberised’ finish to its expanses of grey plastic dashboard, the interior trim looks fine, even though it is actually a bit cheap and brittle otherwise. The three-dial pod ahead of the driver carries neatly inscribed markings that make them easy to read at a glance and the high-mounted stereo is also safe to operate and far less confusing initially than some of the high-end fittings in some motorcars. The seat upholstery does not relieve the ‘acres of grey’ impression, despite being of an easy-clean, pleasantly detailed material. Incidentally, the seats are exceedingly comfortable, fore and aft, with plenty of knee and foot space behind even the tallest of drivers, or front seat occupants. 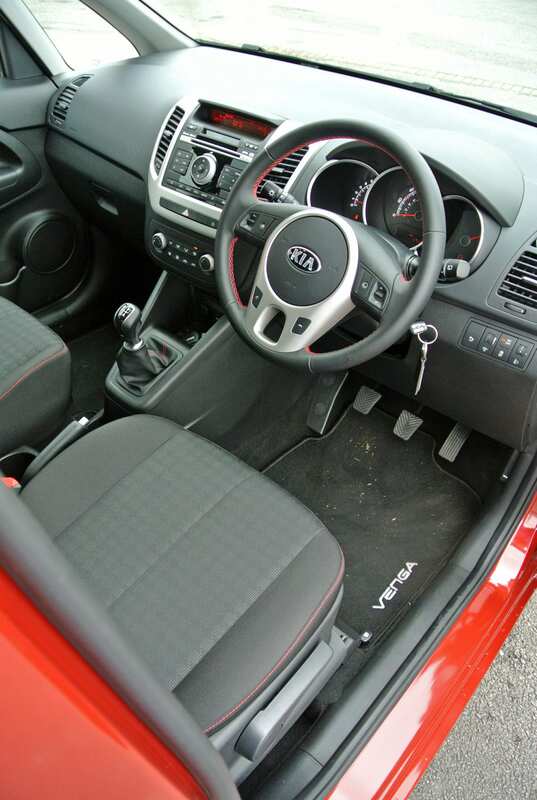 What you cannot see beneath the seats is the exceptional amount of safety addenda inherent to the Venga. While traction control and antilock brakes are a given these days, Kia invests its system with a practical stability program, which ensures the optimum grip is provided in almost any environmental circumstances. A standard fit hill-start assist holds the car on inclines for up to two seconds; more than enough for the majority of the driving population, even the older customer. Brake Assist will flash the rear high-level brake light in emergency situations to warn following drivers of potential danger. There is also a plethora of airbags, seatbelt tensioners and ISOFIX mountings for additional safety, while TPMS informs you of any air losses in tyres. 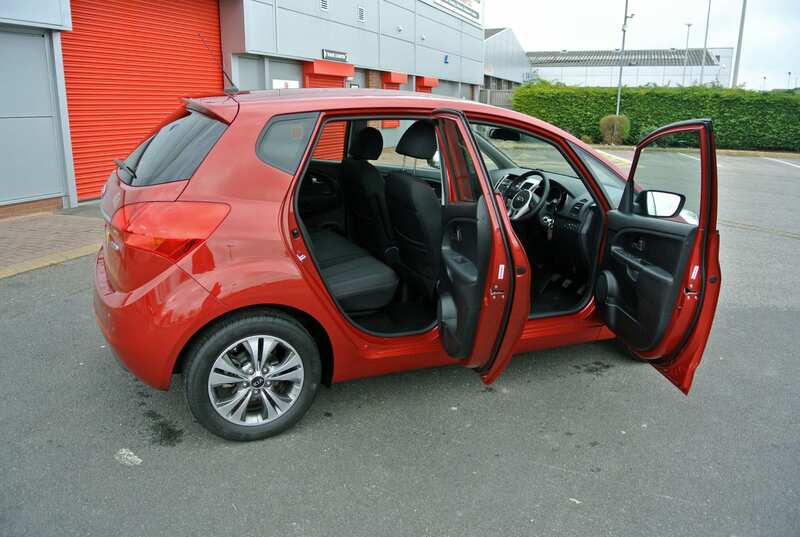 Conclusion: You need not look for fancy frills on the Kia Venga SR7. It does not have them. What is offers in abundance is a stark honesty, a level of competence that is up with the best Euro-Japs and a sense of reality that most of its price/trim/class rivals simply cannot match. Provided recently with a general freshening up exercise, the latest Venga is all the car that the vast majority of us needs. It handles well, stops well and performs well, without causing a personal crash on the finances front. Helped in no small way by its confident seven years warranty, value in all respects is its clarion message.